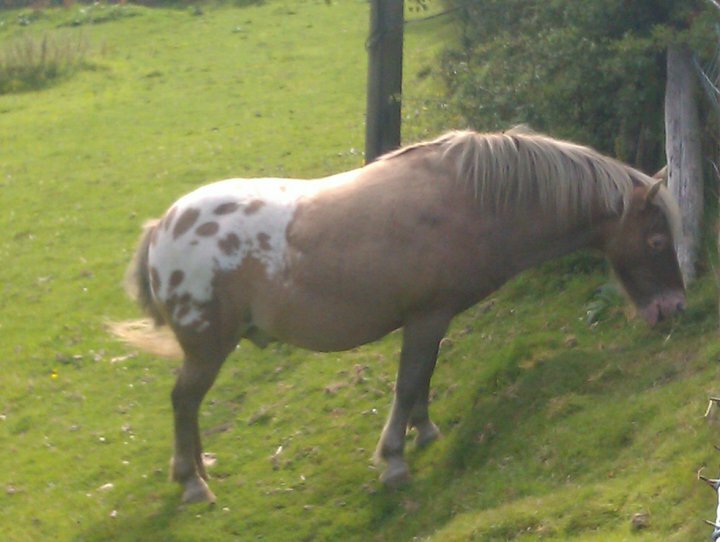 We spotted this appaloosa dun pony while out in the countryside one Sunday afternoon. 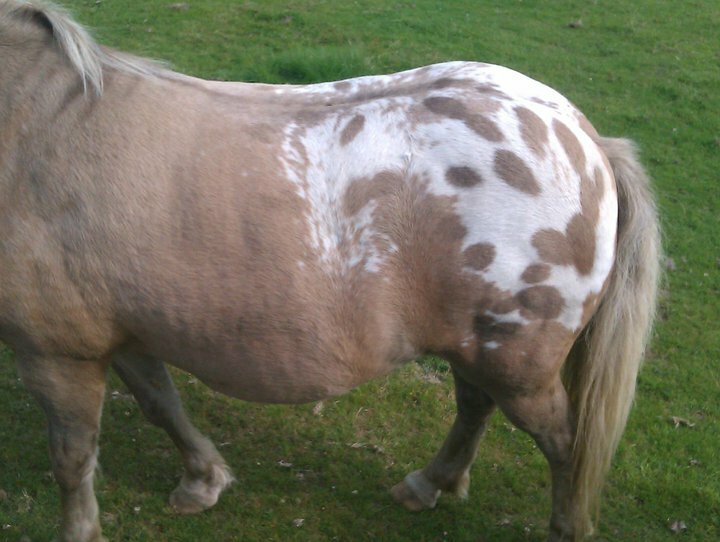 There's appaloosa blanket spotting with dun shoulder stripes and a dorsal stripe on a chestnut base coat. 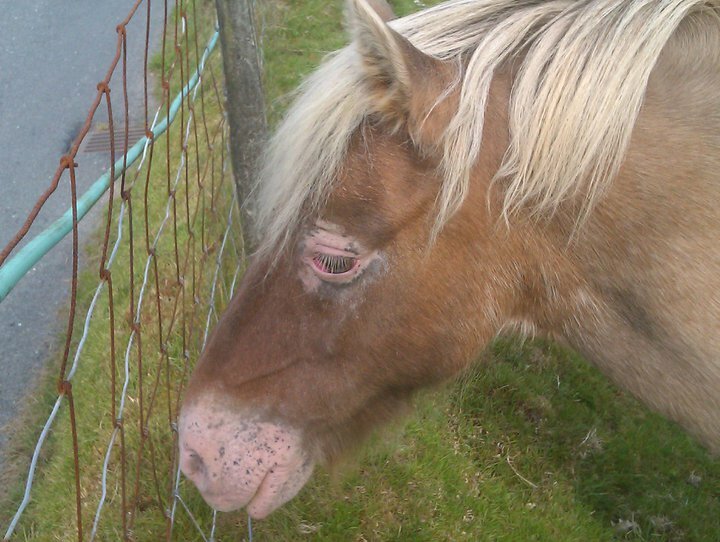 You can see a darker face "mask" and darker but rimmed ears, and a frosty mane, along with pink spotted skin. The other side of the pony. The shoulder stripes - a dun feature - are clear in this photo. 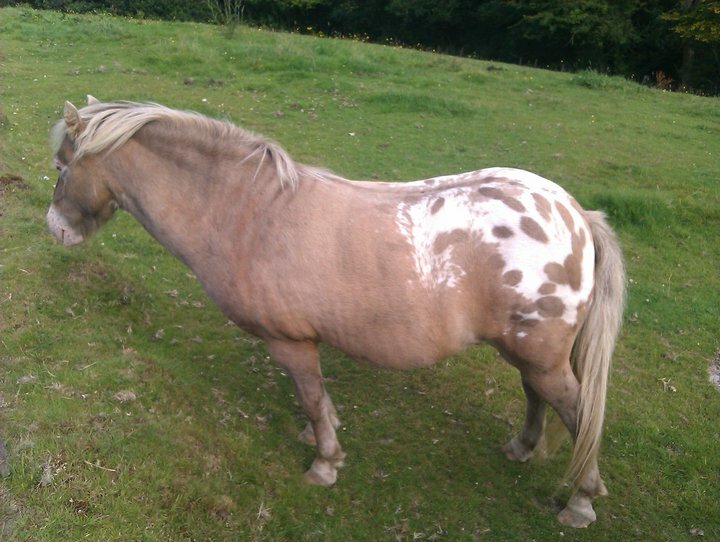 What a pretty little pony!